When it comes to the World Economic Forum and Davos, everyone already knows about the 2,500+ leaders and thinkers from around the world who invade the small ski resort city. 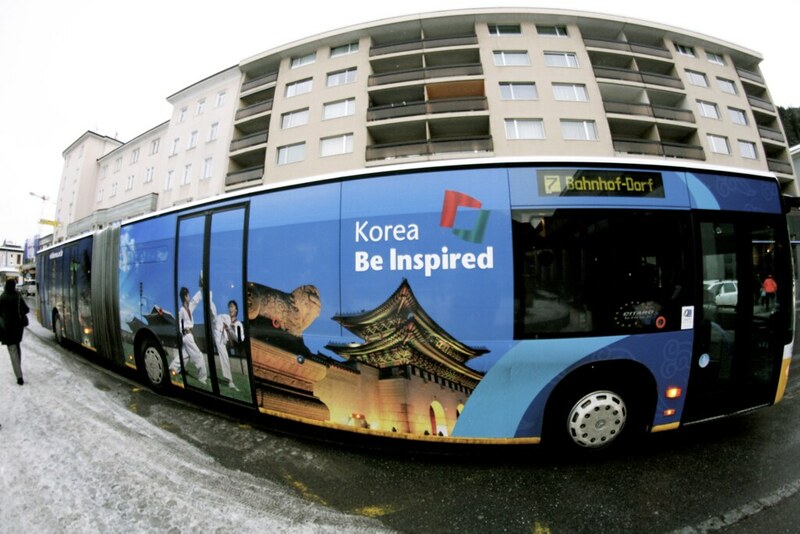 But the city already receives another kind of visit a couple of days earlier, when hundreds of posters and ads are installed on buildings, buses, and windows around the city. 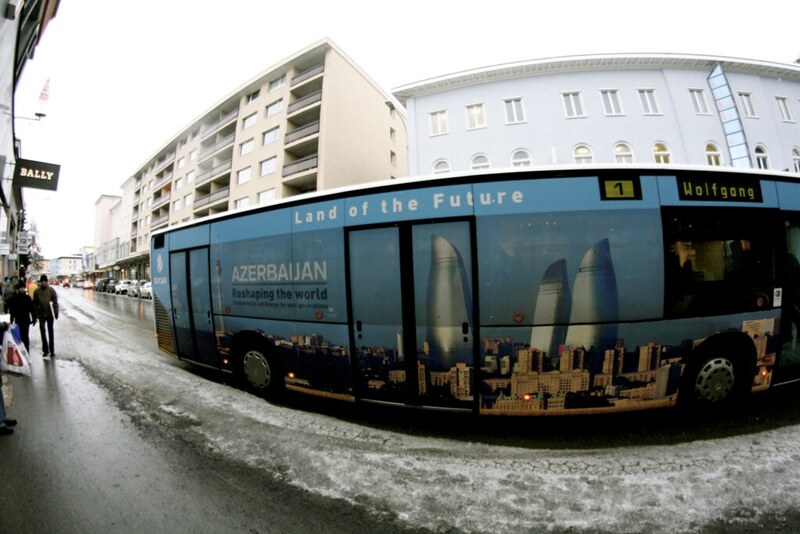 Azerbaijan has no more than seven participants at the Annual Meeting, but the state has covered many of the city buses with their advertisements that will be seen by the thousands of attendees. 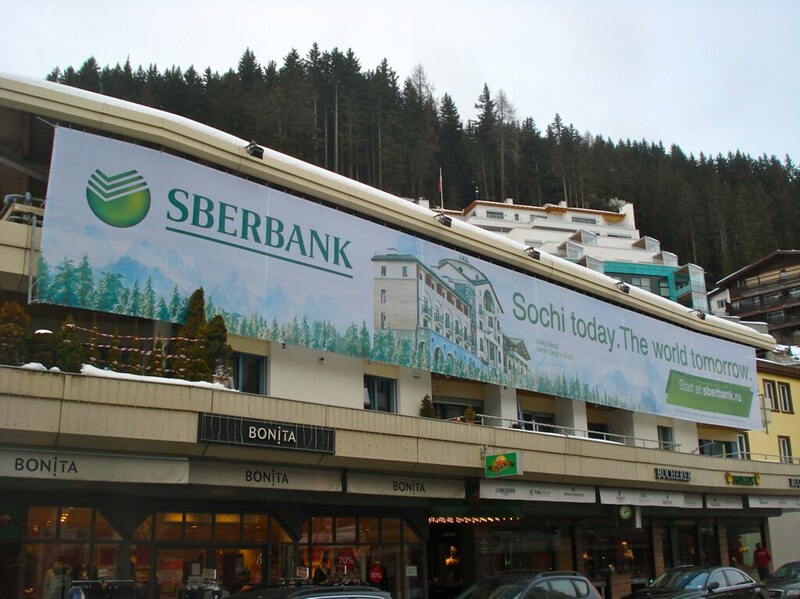 Here, the Russian bank Sberbank showcases its sponsorship of the upcoming Olympics in Sochi. 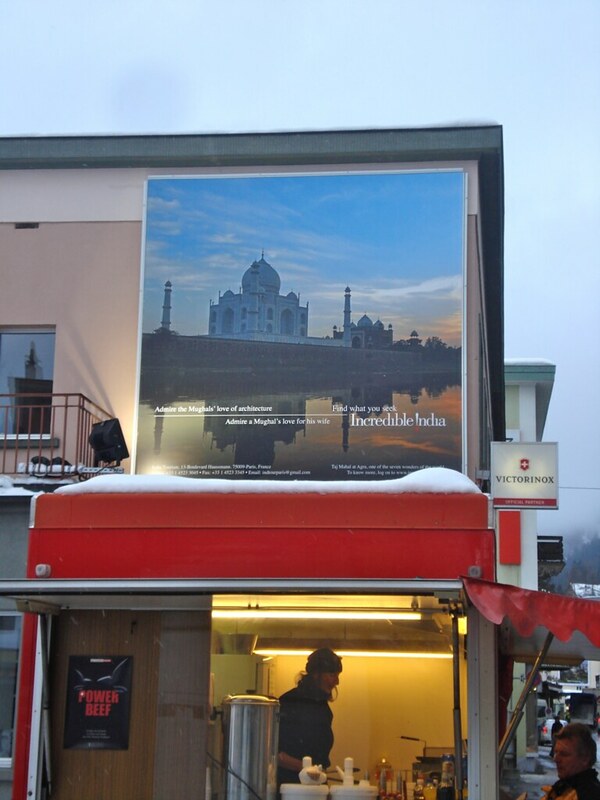 Following the example of fellow Asian nations, India also advertises its traditions on the streets of Davos. 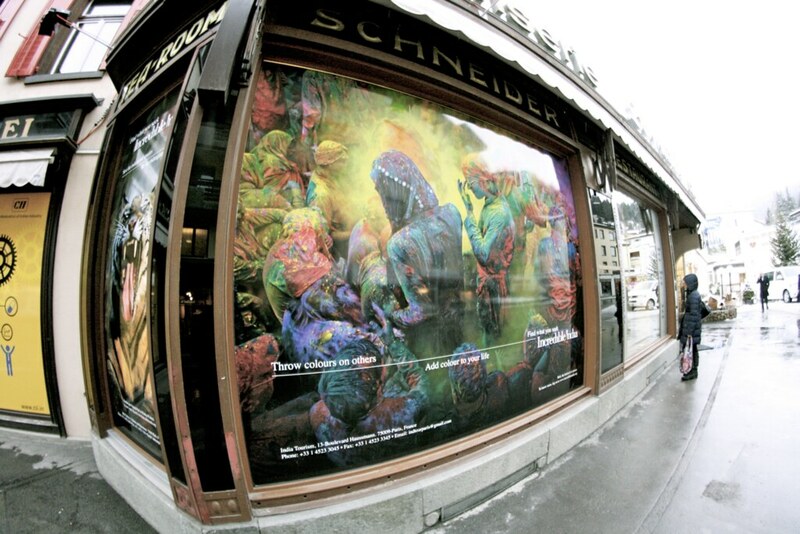 A picture of the Holi festival (“Festival of Colours”) in India covers the windows of this Schneider café, a popular spot for meetings and corporate events. 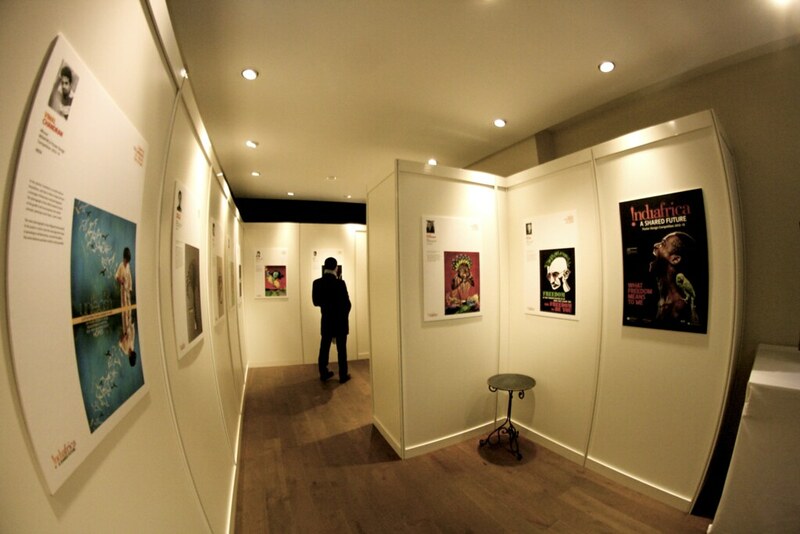 The exhibition “INDIAFRICA: A Shared Future” is a project that brings together young people in India and Africa through art contests and collaborative projects. At the end of January, Chinese technology company Lenovo acquired cellphone maker Motorola Mobility from Google for $2.91 billion (U.S.). Two years after Google itself had bought Motorola, Lenovo’s move has made the company the world’s third biggest smartphone maker, just behind Samsung and Apple. During the World Economic Forum’s 2011 annual meeting, the tiny Swiss town of Davos, with just over 11,000 inhabitants, had 31,200 overnight stays. In general, local Davosers are supportive of this—who wouldn’t be, if you can get paid up to $33,000 a week for renting out your apartment? Women are structurally underrepresented and often discriminated against in most of the world’s powerful arenas. The 15 percent female participation rate at the World Economic Forum is just a glimpse of the problem, and the importance of increasing women’s presence in our governments and boardrooms has been on the global agenda for some time now. On Jan. 22, the World Economic Forum announced the launch of its Forum Academy at its annual meeting in Davos, Switzerland. “The bodies of our friends have been hung up outside. The football field is drenched in red color, the blood of our friends.